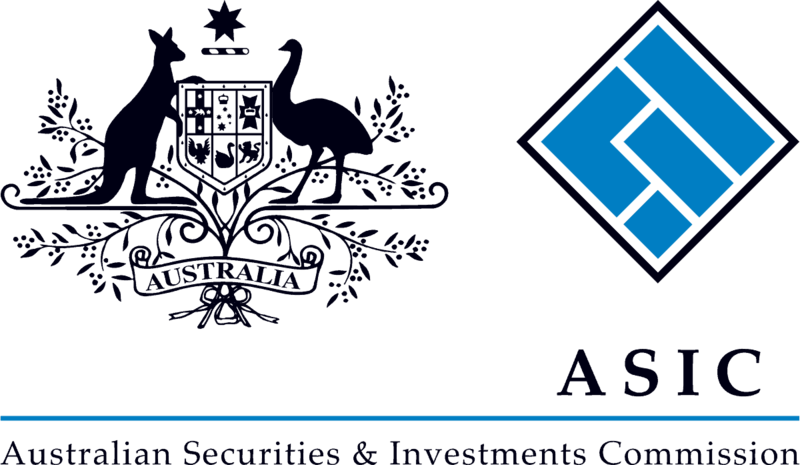 The Australian Securities and Investments Commission (ASIC) is Australia’s integrated markets, financial services, corporate and retail client regulator that was established back in 1998. The ASIC’s as a non-governmental organization duty and role cover regulation or administrate of leveraged foreign exchange transactions and financial service markets. The provision enables investors and traders to participate through fair, strong and efficient financial trading opportunities offered by the independent organizations. The ASIC exercises daily supervision of the retail foreign exchange market and focuses on misconduct within the financial markets while maintaining trust, improving performance and establish integrity. Why trade with an ASIC regulated broker? The whole concept of the ASIC concern about trader protection, smooth market operation and regulation of unconscionable conduct that affects all financial products or services. As a market and trader credit regulator, ASIC supervises and licenses companies that participate in Forex and CFD trading by the Australian license AFSL (Australian Financial Services License). In order to become an ASIC licensed forex broker, the firm should prove and confirm the uncompromised professionalism that covers various aspects and urges brokers to be an orderly and transparent organization. The ASIC application process is accurate to the detail, accepts applications only from physical Australian entities with a sharp business plan, precise detail about trading operating model and details of liquidity providers. As well includes interviewing of responsible manager with appropriate skill and experience, while in fact, the broker’s manager can be dismissed due to the lack of necessary proficiency or any issues appeared in the history. The broker should also establish a high operation fund of at least $1 million, implement client safety measures with strictest fund management and fully segregate clients funds at all times with top-tier banks. In case the broker managed to obtain ASIC license, the trader can be ensured the financial broker act transparently, by the operation through an ASIC’s guideline. The ASIC regulation to brokers trading service and operation are monitored on a daily basis, as the broker submit reports about every transaction or service provided, which ensures the integrity between the market offerings and unparalleled protection. Besides the monitor of brokers’ procedures, ASIC effectively assesses how the financial service firm complying with its legal obligation, as well as investigated law breaches. That may cause ASIC to take further actions like infringement notices, issue of fines, official claims, a ban on credit activities or even company dismiss. A recent example of ASIC active role and launches towards the unscrupulous brokers shows a cancel of a license of Melbourne based forex and CFD broker, as the broker failed to comply with a number of requirements. (Please check the News by the link). Moreover, it is not the only issue that the fines or cases were imposed on the company itself, the managing director is banned too. Since the director was involved in the contravention of a financial services law or is not adequately competent, the ASIC regulator respectively taking necessary actions. Apart from the main role of the forex broker regulation and supervision, ASIC promotes confidence to all market players by public education and open sources that allow investors to obtain accurate information. For that reason, ASIC operates financial advice and strategy website www.moneysmart.gov.au that provide guidance on the investment issues. The service includes advisory on financial knowledge and management, various trading or investment opportunities, exchange risks, fundamental consultation, how to skip scams and more. In addition, the ASIC authority constantly improves legislation as studies behavior of the market, monitors decision marking of consumers along to recognition of new trends. For the protection of trader’s rights, ASIC refers to prevent market manipulation, fraud or unfair service delivery, so the trader can submit a complaint against the ASIC registered company, complaint ASIC or even can get compensation through appropriate channels. Overall, ASIC has established a sharp procedure at every situation the financial brokerage firm or retail trader might go through, which also includes the clients’ compensation by the Australian Restructuring Insolvency & Turnaround Association if the broker falls under insolvency. Any trader can search information about ASICs forex broker license directly through an official site, or to check the regulated broker website, as most websites show on the footer or regulation page its Australian Business Number (ABN) and Australian Financial Services License (AFSL). Also, you can check on ASIC Brokers Reviews, as currently the Australian regulated brokers’ list at our website includes 40 ASIC Regulated Brokers, and growing, while the total number of licensed ASIC Regulated Forex Brokers exceeds 480. Australia became one of the financial hubs that attract vast Forex brokers to set up their overseas operation and apply for the AFSL license. In fact, ASIC Brokers are now among the most demanded and reputable, while the advanced regulatory guidelines ensure the business of trading regulation adheres to strictest follow of rules. In addition, recent updates from ESMA MiFID II order that reduces the leverage up to a maximum 1:30 attracts even more and more traders to open an account with forex brokers from Australia, as the high leverage levels alike 1:300 or 1:400 are still allowed for ASIC Brokers. Insurance of fair, orderly and transparency is a goal that was achieved by the ASIC authority which monitors not only the trading environment provided, the clients’ funds management, but also carefully check on the broker’s responsible management while some of the directors might be banned to run forex brokers. Therefore the potential traders and investors can choose among the ASIC Regulated brokers with a clear statement the firm acts according to the strictest supervision tools, as ASIC took all necessary step to ensure the best possible provision of the trading and financial investment services.